Buy your raffle tickets in person at the ShopUp at 501 Union Street, Brooklyn, this Sunday Sept 13 and Monday Sept 14, or enter to win online here. All proceeds go direct to Mothers2Mothers and the winner will be notified via email. Good luck! To celebrate the raffle, we’ve put together our perfect three days at Capella Marigot Bay, including pool time, beach days, snorkeling adventures, an expert-led jungle hike and memorable treehouse dinner. 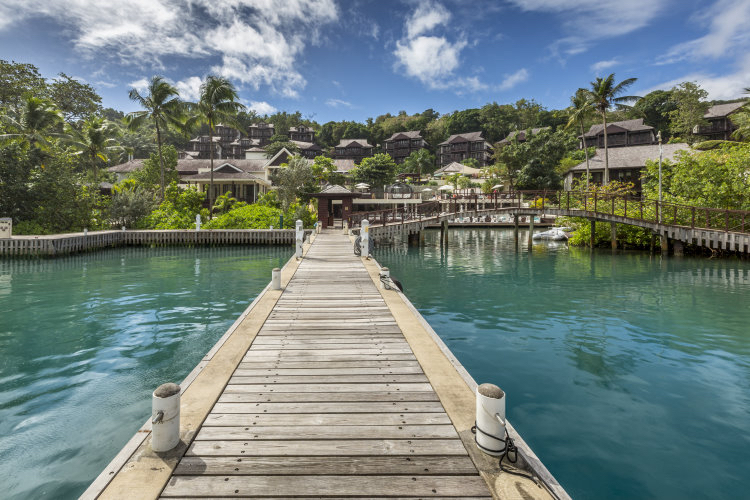 Read on for our resort and island tips, and get in touch if you want to book your own trip to Capella Marigot Bay. Passported readers save 20% on room rates, plus a host of resort perks. Email us at info [at] passported [dot] com to find out more. 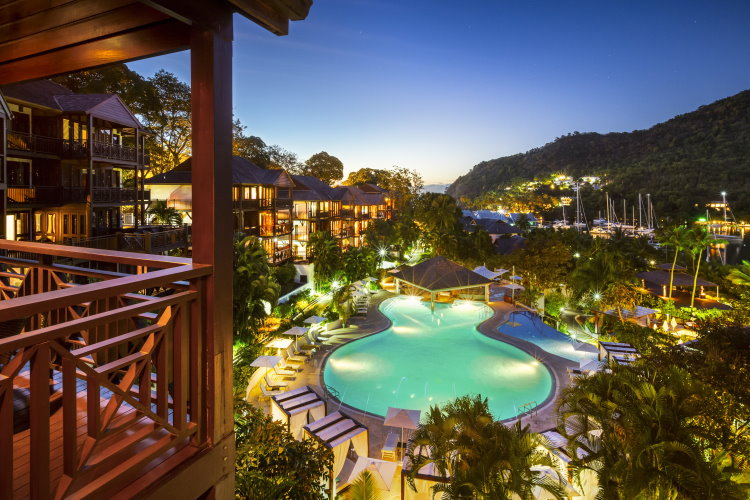 On St. Lucia's forested west coast, the Capella Marigot Bay overlooks its namesake marina and bay, with 124 resort- and bay-views rooms spread across the hillside. There's no beach access, but a complimentary boat shuttle to Anse Cochon beach runs six days a week, or you can organize private boat or land transfers to beautiful local beaches, including Anse Chastanet, Pigeon Point, Anse Mamin and Anse de Pitons. If you’ve chosen the direct flight into St. Lucia Vieux Fort airport (UVF), buckle in for the hour-long cross-island drive from the southern tip up to Marigot Bay marina south of the capital Castries on the west side. Complimentary transfers are included in the prize. 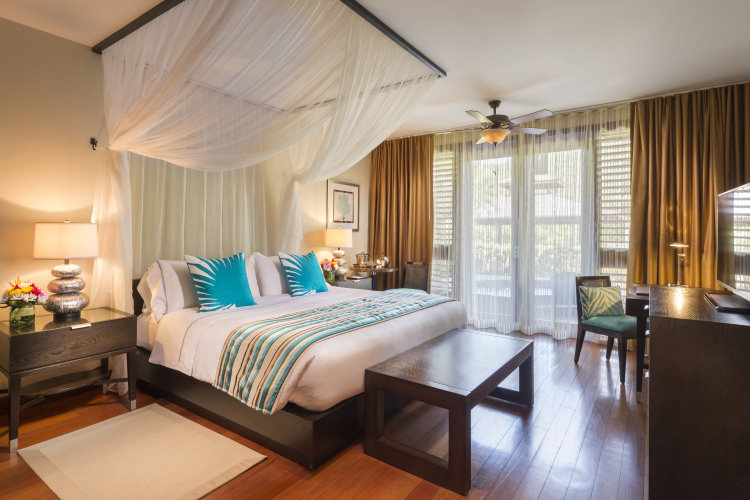 AFTERNOON Check into your Capella Suite at Capella Marigot Bay and explore the grounds before a bite at low-key Bayside Cafe on the water. Explore the busy marina or grab a lounger by the upper infinity pool (best for families) for some post-travel downtime. EVENING Ask your Personal Assistant to organize the quick boat ride across the marina to Rainforest Hideaway, a family-owned European/Caribbean restaurant and local favorite since 2004. The overwater setting makes it a go-to for honeymooners, but families are very welcome and if you go early you can snag a prime waterfront table. Make it a slow start with a morning at the beach, then head out for your family Rainforest Ranger experience, organized by the hotel. MORNING After breakfast at Capella Marigot Bay, board the complimentary 10 a.m. boat shuttle to Anse Cochon beach (around 15 minutes away) armed with your hotel beach towel and plenty of sunscreen. Sun loungers on the beach are free to use on a first-come first-serve basis. You can rent snorkel gear for $11 per person. Have an early lunch of fresh fish sandwiches or big burgers at Ti Manje (Creole for “small eating”) on the beach before jumping on the 1.30 p.m. boat shuttle back to the marina and hotel. AFTERNOON Meet in the lobby for your family Rainforest Ranger experience (included in the prize) in the care of the resort’s resident ranger. Learn about rare tree species, lizards and unique wildlife during the two-hour trek, then end the trip with ice creams, soft drinks and fun quiz on the ride home. 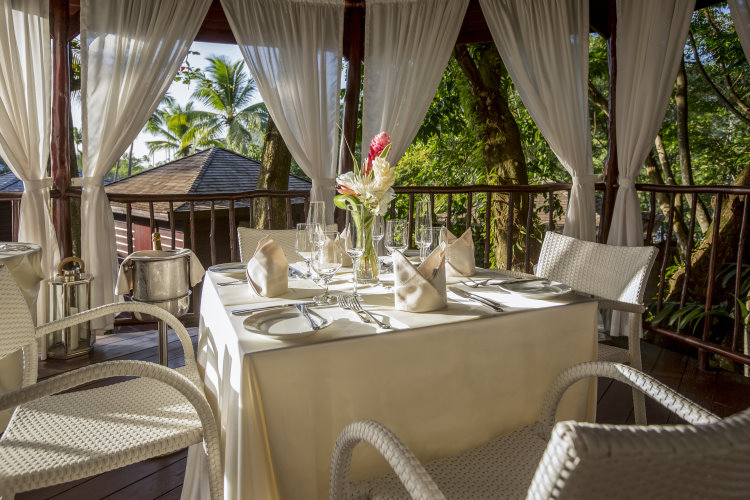 EVENING Dine at the resort's hilltop Grill at 14⁰61⁰ restaurant, known for its hearty meat dishes, local seafood favorites and stellar views across Marigot Bay. Be sure to request a table on the terrace. Your Personal Assistant can organize all of today’s activities, including a family-focused snorkeling trip to a secluded cove and the exclusive dinner in the hotel’s treehouse (included in the prize). MORNING Today you’ll get under the sea on a special snorkeling excursion with expert instruction. Hop the resort’s boat to a quiet cove, where everyone will be given a quick lesson and chance to explore the colorful surrounding reefs. Later, you’ll go fishing with a local fisherman who will share all his favorite fishing spots; lunch is whatever you catch, prepared at a traditional St. Lucian barbecue on the beach. Best for kids aged eight and up, if your minis are younger, swap out the snorkeling experience for the resort-led treasure hunt. Note, this excursion is not included in the prize. AFTERNOON Take it easy by the upper pool this afternoon, book a spa treatment or ogle the mega yachts on a walk through Marina Village. EVENING Make it a memorable last night with your prize dinner in the resort’s private Treehouse. With a day of travel ahead, burn off some energy early on a guided walk along the Marigot Bay Ridge. A short boat transfer will drop you at the start of the trail, where you’ll ascend to the ridge trail’s highest peak and snap souvenir pics of next door Martinique and the Caribbean Sea beyond. Have lunch at the pool bar (sushi, ceviche, sandwiches and salads) before your complimentary shuttle ride back to the airport.